Baccara were a very popular Spanish dance-pop duo in the late seventies. The group consisted of Mayte Mateus (7 March 1951), and Mar?a Mendiola (4 May 1952). Their music was a blend of pop and disco, with lyrics in English sung with the peculiar Spanish accent of the two singers. Baccara's most famous hits were "Sorry I'm a lady" and "Yes sir, I can boogie", both of which topped the charts during 1977 in some European countries, including the United Kingdom. In 1978, their song "Parlez-Vous Fran?ais?" got the seventh place at the Eurovision Song Contest. Baccara's most famous hits were "Sorry I'm a lady" and "Yes sir, I can boogie", both of which topped the charts during 1977 in some European countries, including the United Kingdom. In 1978, their song "Parlez-Vous Fran?ais?" got the seventh place at the Eurovision Song Contest. Curiously, the duo were representing Luxembourg. After releasing four albums, Baccara ceased to exist in 1982. Up from this moment, Mar?a and Mayte have followed their musical careers separately, either solo or with new reformations of the duo like Baccara 2000 or New Baccara. Mayte Mateos graduated as a teacher from the Royal Spanish Academy for Arts, Drama and Dance in Madrid and then joined Spanish Television's Ballet Company. While there she met fellow performer Mar?a Mendiola. In 1976 the two women formed a singing and dancing duo (using the title Venus) and left the Ballet Company. Initially the duo's act was simply that of variety show dancers. Their first television appearance was on the Palmar?s light entertainment programme and they were engaged at a nightclub in the Aragon city of Zaragoza, but their contract was cancelled when the club manager decided that they were "too elegant" for the style of show. Mateos and Mendiola relocated to the Canary Islands in search of work. Here they found that there was an audience for the performance of traditional Spanish music and dance in a form that was adapted to suit international tastes. The duo were spotted by Leon Deane, manager of the German subsidiary of record company RCA, whilst performing flamenco dance and traditional Spanish songs for tourists (mostly German) in the Tres Islas Hotel on the island of Fuerteventura. He invited them to Hamburg in order for them to meet the 30 year old Dutch producer/composer Rolf Soja. Soja was the prime mover behind what became Baccara. He developed their stage performance and recruited their instrumental support. Mateos and Mendiola were retitled Baccara, after the name of the black rose, in reference to the women's dark Spanish appearance. Together with fellow writer Frank Dostal, Soja penned their d?but single ?Yes Sir, I Can Boogie? and most of their other 1970's hits. Recorded in Holland and released in 1977, ?Yes Sir, ?? proved to be a huge success, reaching the top of the charts in Germany, the Netherlands, the UK, Sweden, Belgium, Israel, and Switzerland, and number three in France. Later that year a self-titled album, written and produced by Soja and Dostal, was released. Soja is generally credited with the Baccara formula - consisting of breathy lyrics, lush backing, a disco beat and the striking image of two women (one dressed in black and the other in white) dancing. While drawing lightly on Spanish flamenco song and dance tradition, the formula was very much rooted in 1970's disco music. Soja's song arrangements generally used Mateos as the lead singer while Mendiola contributed with backing and refrains. ?Yes Sir, I Can Boogie? was an enormous pan-European hit and was a prime example of the phenomenon that is known as the "summer hit". The song was heard everywhere over the summer of 1977 and it is still evocative of that moment in time. It is also one of the best known examples of the Eurodisco genre : ?[?] this mind-bending Common Market melding of foreign accents, bad diction, bizarre arrangements and lightweight production, usually top-heavy with strings? - The Independent, 10th April 1999. Baccara sold more than 16 million copies of ?Yes Sir, I Can Boogie? and featured in the 1977 edition of the Guinness Book of Records as the highest-selling female musical group to date. 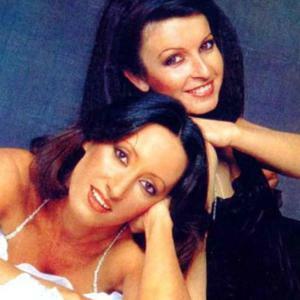 They were the first female duo to reach number one in the UK, and had the only number one by a Spanish artist in the UK until Julio Iglesias, four years later. A follow-up single, ?Sorry, I'm A Lady?, was also an international hit, peaking at the top of the charts in Germany, the Netherlands and Belgium and reaching the top ten in the UK, Sweden and Switzerland. Most of Baccara's recordings were sung in English although they did also record in Spanish, German and French. They recorded different language versions of some songs (see Discography below). Touring in Europe during the late 1970's helped the band establish a firm fan base in Germany (where their records continued to be produced) and the Scandinavian countries, and their Spanish-flavoured interpretation of the disco sound also brought them recognition in Japan and Russia. Baccara represented West Germany at the eighth World Popular Song Festival held in November 1977 ? until it ended in 1989 the largest such contest in the world. Their song, ?Mad In Madrid?, came 14th out of 37 participating countries. In 1978 the second Baccara album, ?Light My Fire?, was released across Europe, and whilst not matching the international success of the first, it spawned the single ?Parlez-vous fran?ais?? which was selected as Luxembourg's entry in that year's Eurovision Song Contest. Despite full marks from Italy, Portugal and Spain the duo finished in 7th place. However high sales, particularly in Denmark, Sweden and Belgium, meant that the single was a commercial success. Further recognition came in 1978 when Baccara was granted Germany's most prestigious media award, Burda Publishing Group's Bambi prize. This is offered annually to ?celebrities whose abilities have impressed, moved and enthused the people in Germany?. The duo made regular television appearances, becoming weekly guests on Sacha Distel's show in the UK, and on Musikladen in Germany. 1978 was the high point of Baccara's artistic and commercial success. Late that year the duo released the single ?The Devil Sent You to Lorado? with ?Somewhere in Paradise? as its B side. Both of these Baccara recordings have become iconic. ?Somewhere in Paradise? (with its allusions to life after death) is regularly played by Christian radio stations while ?The Devil?? (with its background pistol shots) is sometimes identified with the gay community. A Spanish language version of the ?The Devil?? (?El diablo te mand? a Laredo?) was released at the same time as the English one. 1979 saw the album ?Colours? and the separately-recorded single ?Eins plus eins ist eins?, released to mark the United Nations' International Year of the Child and celebrate the 20th anniversary of the UN adoption of the Declaration of the Rights of the Child. Baccara's fourth and final album (in the band's original incarnation) was ?Bad Boys?, released in 1981. By this time the disco sound had been overshadowed by newer music movements (such as punk, new wave and synthpop) in much of Europe and interest was largely confined to those countries where the duo had an established fan base, notably Germany. The album was not released in the UK or US. Baccara have been (possibly unfairly) described as ?one hit wonder? in the UK, while they never achieved any recognition in the US despite some of their songs being given significant airplay. One music critic suggested that the Baccara formula lacked artistic depth but had been ?mined for all it was worth? over two years until public interest moved on to other things. The same critic also drew attention to an element of ?anti-feminist subservience? in the lyrics of some Baccara songs. The 1980 single release of ?Sleepy-Time-Toy? led to disagreement within Baccara over the vocal mix used. Mendiola complained that her voice was not given sufficient prominence in the song's arrangement and sued RCA for breach of contract. A court hearing in Munich resulted in 250,000 records being recalled from dealers. The dispute fatally damaged relationships. One consequence of this was that Soja and Dostal were not involved with Baccara's final album. The duo recorded ?Bad Boys? with Bruce Baxter and Graham Sacher. Neither the album nor its spin-off single ?Colorado? were successful. In 1981, after RCA declined to renew their contract, Mateos and Mendiola ended their professional partnership and both launched solo careers. By 1983 both artists had released albums of their own ? Mateos with ?Spanish Dreams? and Mendiola with ?Born Again? ? which saw moderate success amongst Baccara's original fan base. However there remained a demand for Baccara's music, particularly on the European television circuit, and by the middle of the decade both Mateos and Mendiola had formed their own versions of Baccara with new singing partners. Despite a series of name and line-up changes, both Baccara duos continue to perform around Europe and have released new albums. Both have also made re-recordings of their hits for various minor record labels, which are regularly re-packaged and re-issued under the original Baccara name. However, the original song versions (those recorded between 1977 and 1981) remain the property of Sony-BMG, which holds the rights to the RCA back catalogue. On the occasion of Baccara's 30th Anniversary, Sony-BMG Germany released a very complete 3 CD box set on August 31 2007. This collection includes 50 RCA original recordings. Several songs such as ?Mad In Madrid?, ?Amoureux?, ?Baila t? ?, ?En el a?o 2000?, ?Eins plus eins ist eins? and ?Candido? made their debut on CD.